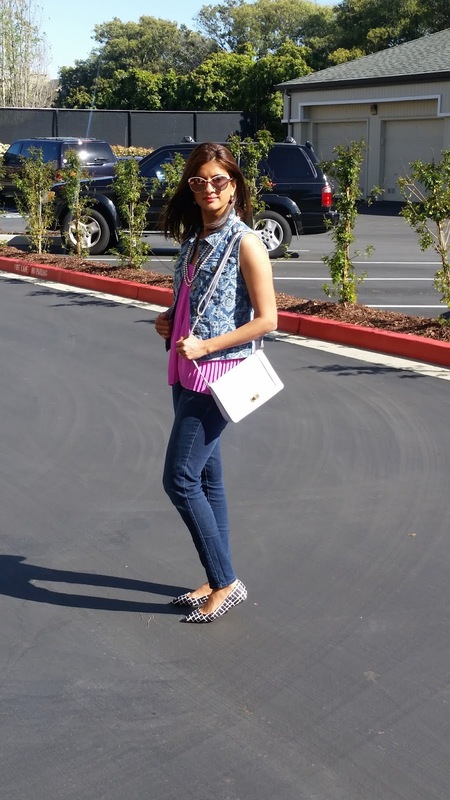 Unfolding Style: BRIGHT OR PASTEL? This top and vest have been lounging in my closet since the beginning of last summer, WITH the tags still attached. Even though I have unintentionally worn clothes with their tags on in the past, it wasn't the case this time. Meaning, these rascals were still brand new, until today. It's true that my closet is brimming with many items of clothing, so I could claim I just "discovered" them today, but that would not be true either. I could just never figure out how to style them! I bought that top because I loved that color, and I was going through a "pleated" phase. But in reality, I didn't quite like how it looked on me. The vest fits fine enough, but I just never found the right thing to pair it with. Until today, when I saw them both lying next to each other in my closet, and I had a mini lightbulb moment. Okay, I changed facts a bit here. I had my lightbulb moment with the top and the cardigan below, which is also new and from last summer. 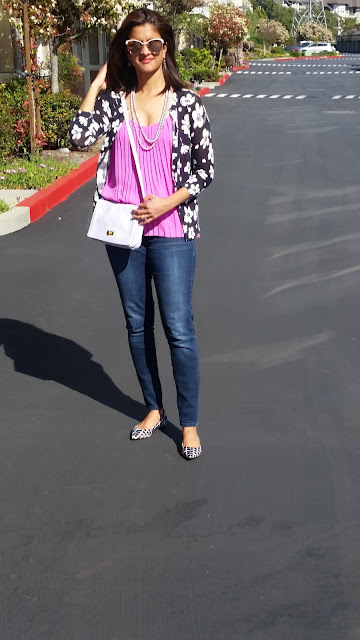 I wore the top with the cardigan in the AM, but by the time I was taking the pictures in the afternoon, it was too warm, and I was already disenchanted with the combination, so I switched to the vest. 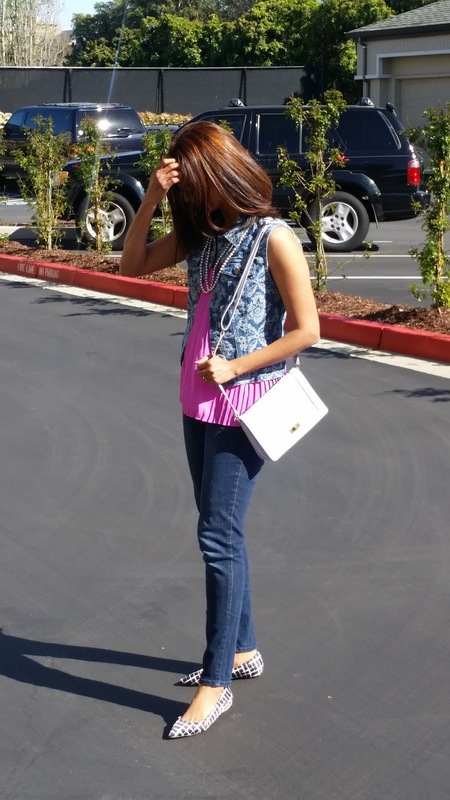 But I have one thing going on in both the outfits - pattern mixing! Something that I have been attempting with much trepidation and zero success so far. My shoes and the cardigan/vest are all of a different pattern! Yet, I think they do go together reasonably(at least me thinks so). All in all, I'd say I accomplished a lot today - used three new clothing items, and mixed patterns. Not bad at all. Oh and now for the title of the post. 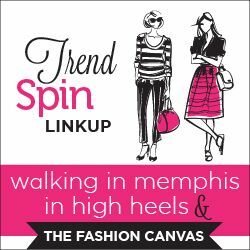 I am linking up with Walking in Memphis in High Heels and The Fashion Canvas who host a weekly trend spin link up. And this week's theme was "Brights and Pastels". But I could not say with certainty whether my top was pastel or bright. If you have an opinion on which camp today's outfit belongs to, please do share it.